There are a number of studies that attempt to quantify the benefit of using a financial advisor. Vanguard calculates an advisors' ‘alpha’, the added benefit of working with a financial advisor. Their research shows an advisor adding a net of fees gain of 2-3% a year. Morningstar calculates a ‘gamma’. This figure takes into account more areas that an advisor has impact and compares the outcome to what a ‘naïve’ investor would do. Morningstar’s gamma calculates that an investor using an advisor would have a higher income of between 22% and 31% depending on the extent of the advice given as well as the duration of advice. It’s the result of making intelligent financial planning decisions combined with or in spite of their emotions. We believe that asset allocation and investment recommendations are only a small part of the benefit of using a financial advisor. Many financial advisors charge an assets under management (AUM) fee and all you get is a modeled asset allocation and investment recommendation. The benefits of working with a financial advisor should be far greater than investment results. The largest benefit comes from all the other services an advisor offers. Therefore, in addition to asset allocation and investment recommendations, we provide many additional services for the same AUM fee to help ensure the success of your financial plan. 1) COMPREHENSIVE FINANCIAL PLANNING. Your financial success depends on having a clear, ongoing, dynamic plan in place. An advisor creates a strategy to help you achieve your savings goals while working. Then the retirement sustainability and income plan is critical to ensure you don’t outlive your money and keep up with your lifestyle. 2) BEHAVIORAL COACHING. According to the DALBAR report, the S&P500 has returned 8.2% per year over the last 20 years but the average investor in the index has only seen a 4.7% return. The difference is due to the emotions that come with investing and the tendency to buy high and sell low. Retail investors tend to become fearful at the bottom of the market cycle and sell out, and only become comfortable at the top of the market cycle which is when they want back in again. The biggest advantage an advisor can provide is to help remove the emotions from investing such that these emotions don’t undermine the investor’s long term success. 3) TAX EFFICIENCY. This is both the after tax returns of a particular investment as well as a wise withdrawal strategy, know which assets to spend first and how much to spend of each type. There are some investments that should only be place in a qualified account, such as an IRA, due to the high tax cost. These investments look good in your performance report but after filing your taxes you will wonder where your money went. We take into consideration the short, mid, and long term effect of taxes on your wealth building activities. 4) RISK MANAGEMENT. There are many ways to reduce the risk in building assets and wealth over a lifetime. Risk is both tangible and intangible at times. This is particularly important in retirement when the next egg cannot be topped up. Knowing the different solutions available and pros and cons of each is invaluable to effective risk management. 5) FINANCIAL PRODUCTS KNOWLEDGE. Financial products change every year. Literally, thousands of investments and hundreds of insurance products and annuities are constantly evolving and allow you to do more to achieve your financial goals. All of these products are not created equally. As tax laws change, so do products and strategies. Knowing what is available and taking the time to thoroughly explain how it fits your specific needs is very valuable. As you make key decisions, this education process can largely affect your goals and have a significant impact in your financial outcome. 6) FIDUCIARY. We act in accordance to the highest standards of fiduciary duty to our clients. We are a Fiduciary via our role as Investment Advisor Representatives through Securities America Advisors. We are a Department of Labor Fiduciary which requires advisors to act as a Fiduciary with respect to retirement accounts also known as ‘qualified’ accounts. We are held to a Fiduciary duty as a CERTIFIED FINANCIAL PLANNER™. This CFP® standard is by far the broadest which spans all areas related to Financial Planning including, but not limited to, cash management, risk management, investment management, tax management, retirement advice, and estate and legacy planning. 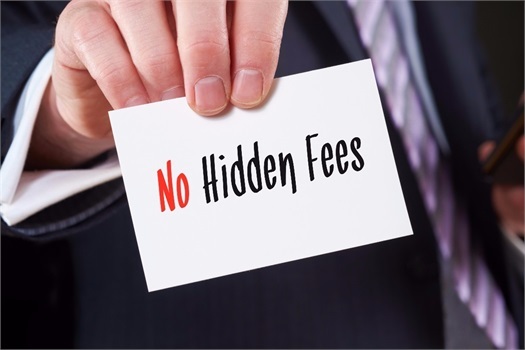 We understand that fees are important to our clients. Please understand no mutual fund, ETF, investment company, or insurance provider will invest your money or take on your financial risks for free and no financial advisor works for free. We work hard on a broad scope of services and are conscientious in disclosing fees. We work at a high standard to earn your trust because we value your relationship and act accordingly.